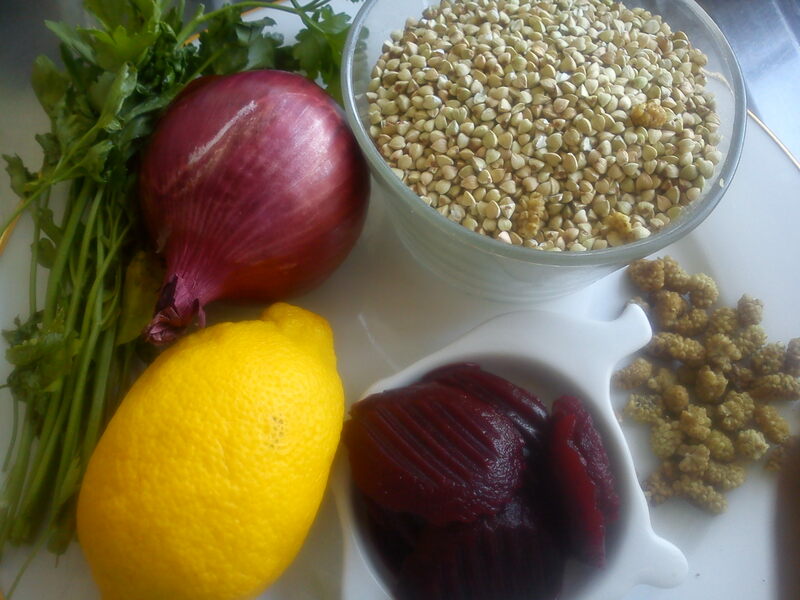 Place the buckwheat, chopped parsley, mulberries, onions, onions, lemon zest salt, pepper and oil in a bowl. 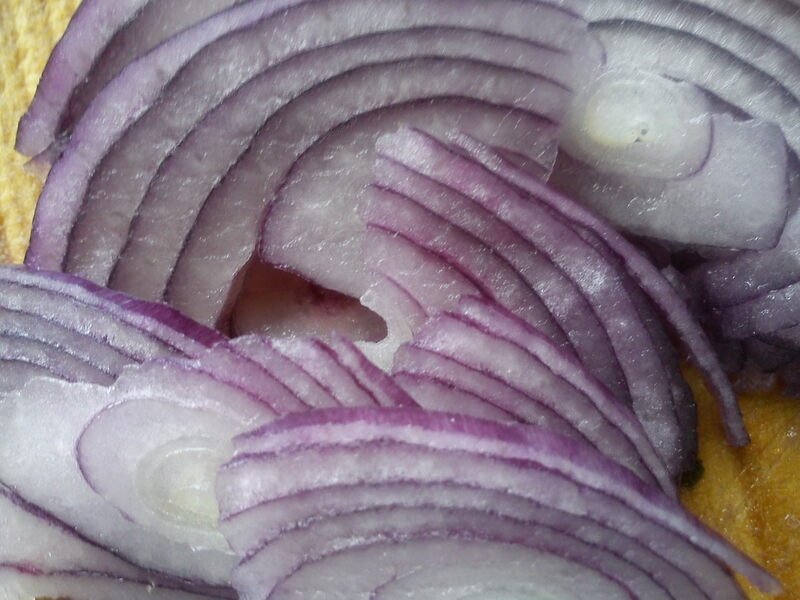 Mix well and add the beetroots. Beetroot must be added in just before serving as it might colour the rest of the ingredients (knew that, just didn’t remember). Serve topped with a fried eggs and a pinch of poppy seeds. The lemon quarts will serve as vinaigrette.